Who offers the best storage solutions and prices in London? Our company. We dare make this statement because we are fully aware of the fact that we are reputed as reliable, trustworthy and honest contractors. We emphasise on customer satisfaction, so you can rest assured that we will give a 110% effort to not only meet your expectations but go beyond and above them. 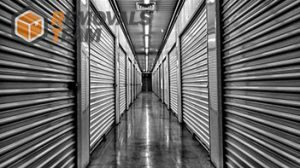 Our storage facility in London is comprises of exterior and interior units of different sizes which can easily solve all your storage conundrums. Every single one of our cells is equipped with first grade environmental control systems which will fully protect your belongings from the different weather conditions. We have also installed sensitive and modern alarm features which will instantly notify our security personnel in case of an intrusion or unwanted event. The premises are under constant surveillance, so you can rest assured that your possession will be meticulously guarded 24 hours a day, 7 days a week. If you cannot bring your belongings to us, have no worries because we have a team of movers and fleet of fully equipped vans and trucks which you can use to haul your possessions from any address in London to storage. Even more, if you desire we can lend you a hand with the packing and labelling of your items, so that you can have the peace of mind that they are correctly stored and more importantly that you can retrieve them easily once you need them. You should know that we work only with the best packing materials because the safety of your belongings is of paramount importance to us. After all it is not by chance that we are known to provide the best storage services in London. Our facility is open 24 hours a day, which means that you will have unrestricted access to your belongings at any time of the day. Another important fact about our storage options is that you won’t need prior reservations in order to book one or several of our units. However, we will ask for a 7 days (14 days for extra-large cells) notification before you vacant your units. As you have already understood we are based in London. The city is the capital of the United Kingdom and has a population of over 13.5 million people (metropolitan area included). It is the location of four UNESCO World Heritage Sites which explains why it is one of the world’s most famous and visited cities. The Tower of London is perhaps the most interesting local landmark as it houses the British Crown Jewels. The site lies in close proximity to Tower Bridge which is another well-known local structure and perhaps the most famous river crossing in Europe and the world.